How Do You Know If You Are a 1, 2 or 3? Scroll down for details on each level. Preliminary Energy-Use Analysis (PEA): For the PEA, the certified energy analyst collects historic utility use, peak demand data and cost index information. ECI (Energy Cost Index) and EUI (Energy Utilization Index) are determined through simple calculations (see article). 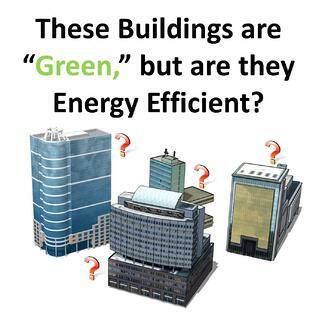 The PEA, required prior to completing other commercial energy analysis levels, can be used to compare one building’s performance to similar buildings anywhere in the U.S., and also to justify the cost of a more thorough building energy audit. 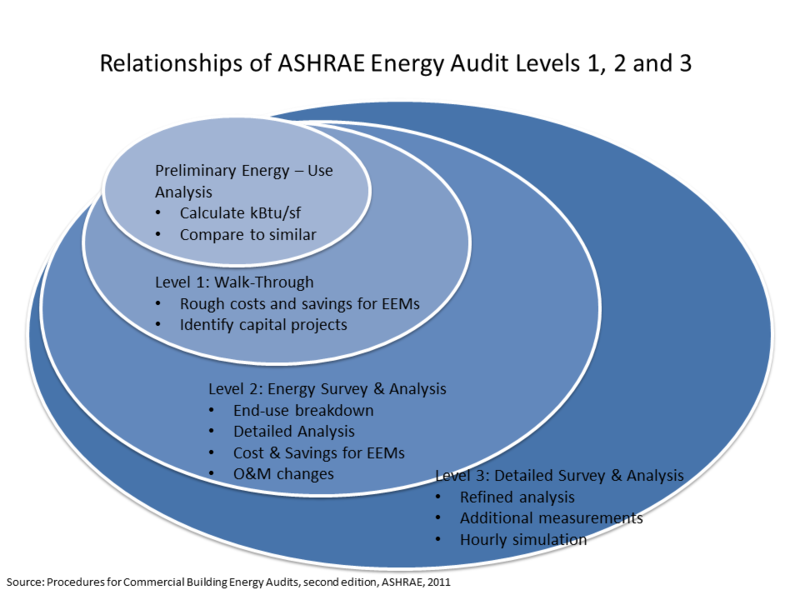 Level 1 – Walk through Survey: With a Level 1 energy efficiency audit, the analyst studies energy bills and determines the building’s total energy cost and efficiency. 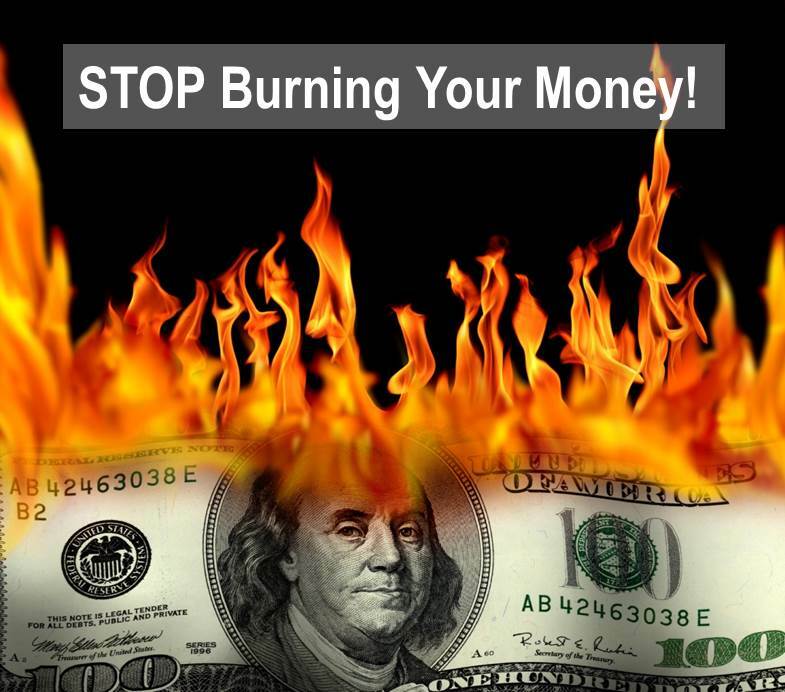 The building owner receives a report of potential low-cost/no-cost energy efficiency measures (EEM) and an estimate of both expense and energy savings with simple paybacks. Level 2 – Energy Survey and Analysis: At this level the analyst conducts a more thorough building survey including energy consumption and peak demand. 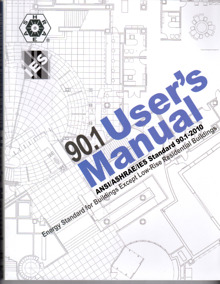 The building owner receives a detailed energy analysis with a breakdown of the end-use of energy within the building. (i.e., Who is using how much and when.) as well as recommendations for low-cost as well as capital-intensive EEMs. This level of commercial energy assessment is the most popular and usually the most cost effective. Level 3 – Detailed Analysis of Capital-Intensive Modifications: This level of building engineering analysis focuses on potential capital-intensive EEM projects identified during the Level 2 analysis. The certified energy analyst collects detailed field data and conducts a rigorous engineering analysis. The building owner receives comprehensive energy models and a detailed report with project costs, expected savings and a thorough life cycle cost analysis (LCCA). Each level of Energy Audit includes everything from the one before, plus additional services and more detailed recommendtions. Make sure you carefully choose the person or company to conduct the audit. They should have expert knowledge and industry experience, not just fancy tools.